NJ Han Nam Chain LLC is a privately owned company that has been categorized within marketing consultant industry. It is actually a supermarket chain operating in New Jersey that deals in different types of grocery items and other food products. Record says that the supermarket chain was established during the year 2010. Headquarters of this marketing chain is in Fort Lee. At present, this is operating in New Jersey but soon other branches will start in other states of the US. Approximately, 2270 full-time and 1500 part-time employees now work in this organization. 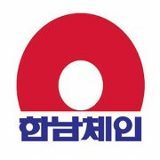 The supermarket chain especially deals in different Korean and Asian food and grocery products. There are currently 0 consumer reviews about Han NAM Chain available. Share your review. Please take a note that you are about to post a public review about Han NAM Chain corporate office on CorporateOffice.com. This review will be public, so please do not post any of your personal information on this website. If you would like to contact the corporate offices of Han NAM Chain, please use their contact information such as their phone number, website, and address listed above to contact them. However, sometimes staff from Han NAM Chain headquarters do read the reviews on this website.